This round table invites Zoulikha Bouabdellah (artist), Amina Benbouchta (artist), Nadia Sabri (academic and independent curator) and Christine Eyene (curator, artistic director of the upcoming Casablanca Biennale), to reflect on the position of women artists and cultural agents in the Moroccan and international art scene. It falls into the framework of HERstory, a project by Julie Crenn and Pascal Lièvre. HERstory is meant as an exhibition of archives that promotes male and female feminist voices from all over the world. This project is an invitation to watch, listen, read, inform, discover, exchange, meet, propose, debate, question, and be open to postfeminist thoughts. They are extremely rich and prolific thoughts that extend, oppose each other, and become more precise and refined day in and day out. In fact, they need to circulate in order to generate a pluralistic vision of our society. 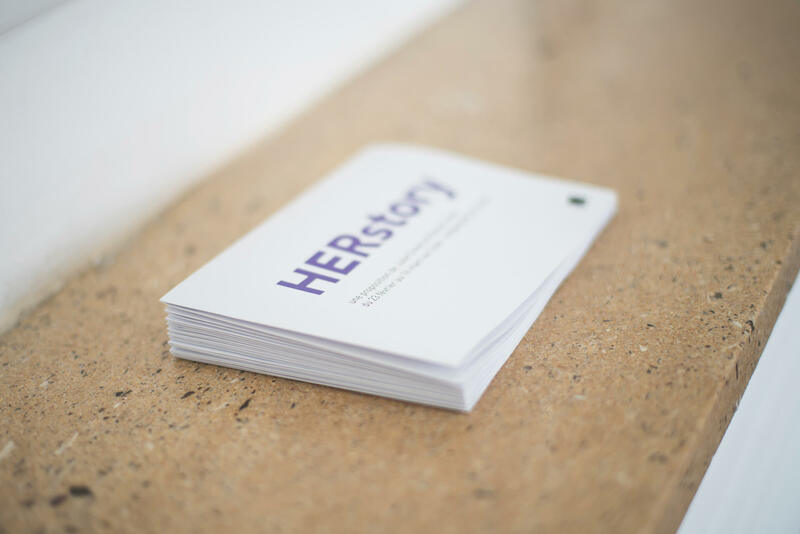 HERstory was conceived in collaboration with the Fondation Heinrich Böll Stiftung Afrique du Nord Maroc, l’Institut Français de Rabat, la Maison des Arts de Malakoff and les maisons d’édition tahin party, Nouvelles Questions Féministes, Mamelis, Amsterdam, La découverte, En Toutes Lettres, Tarik and Le Fennec.